2000s: Snowy Vermont is the place to be this Christmas! 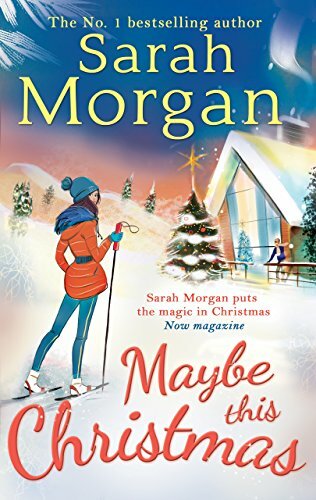 Brenna’s not dreaming of a white Christmas… As a professional skier she’s already had too many to count! Brenna’s more concerned about finally spending the season with the man she’s loved as long as she can remember – her best friend Tyler. Single dad Tyler is determined to make sure his daughter, Jess, has the best Christmas ever. He can’t afford to be distracted by Brenna moving into his family’s snow-capped ski resort. Especially as that mistletoe magic has him looking at Brenna in a whole new light. Until a surprise kiss means the relationship Brenna’s always dreamed of feels so close she could almost touch it. Could this be the Christmas her dreams of a happy-ever-after finally come true? Kicking the snow off your boots, getting inside your lakeside home, stoking the fire and warming yourself up with a nice hot chocolate. On skating resorts all over Vermont, the skiiing season is in full swing. The crisp white snow, the falling flakes and the promise of a new year. The fairytale appearance of a snowy town, picture postcard perfect.